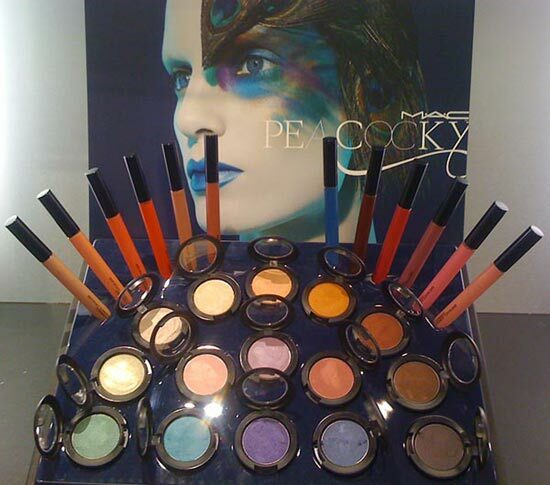 The Peacocky Collection finally hit stores yesterday and I brought home with me a few of the new Mega Metal Shadows. 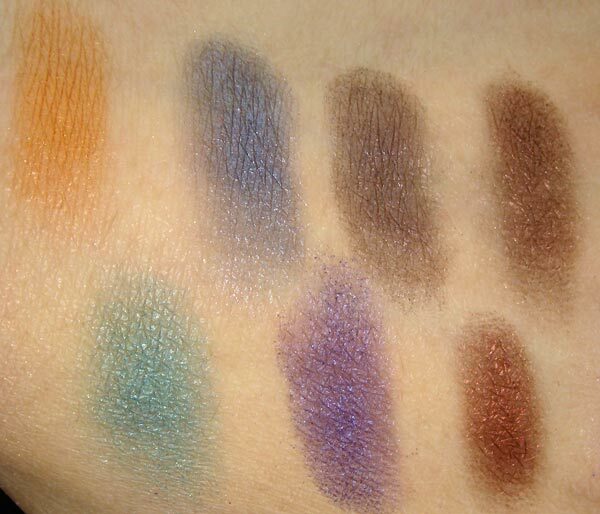 The Mega Metal Shadows ($19.50) come in 15 beautiful colors that range from coppers, beiges to greens, blues, purples and browns. 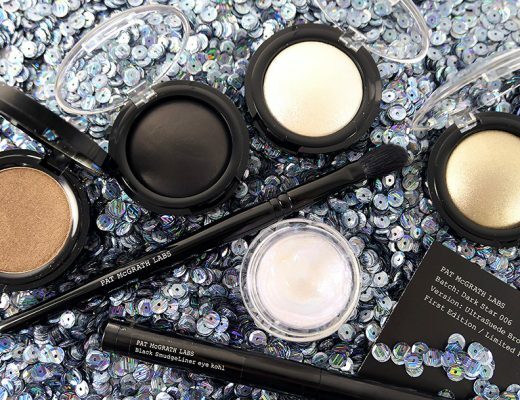 Compared to the previously released Metal X and Brushed Metal X shadows, these feel more like powder eyeshadows but go on equally buttery with a nice, blendable texture. Pigmentation seems to vary by color. 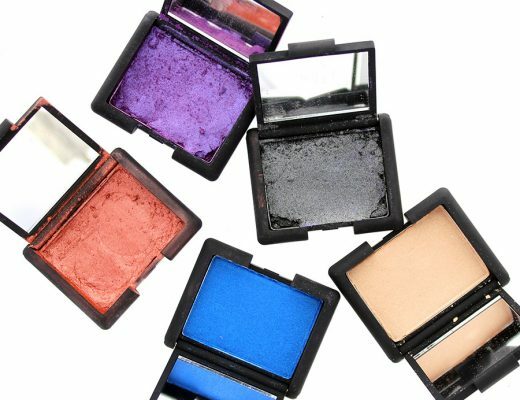 While they all go on very metallic, the darker ones are more pigmented while the lighter ones require a bit of layering to get a more intense color. • Sexpectations is a reddish burgundy similar to Cranberry eyeshadow. • Tweet Me is a light golden orange that shows up identical to Expensive Pink eyeshadow on me. • Paparazz-she is a bright coppery orange. It reminds me a lot of Goldspice Metal X Eyeshadow and Amberlights eyeshadow. • Prance is a light beige with a pearly pink sheen. • Peek-at-you is a light yellow white and the least pigmented out of the bunch. It is similar to Pollen eyeshadow. • Dalliance is a very light pewter/olive gold. 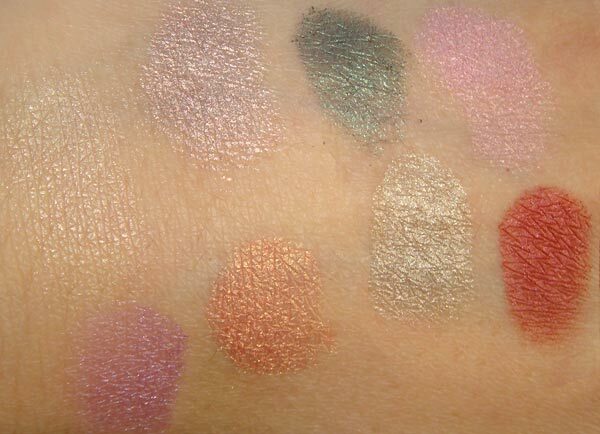 On me, it shows up just like Retrospect eyeshadow with barely any green. • Ego is a dark forest green that is almost identical to Humid eyeshadow and 6th Sin Metal X Eyeshadow. • Odalisque is a teal. Shimmermoss and Talent Pool from Starflash collection are close dupes. • Dandiezette is a cool-toned dark silvery blue similar to Blue Storm Pigment. 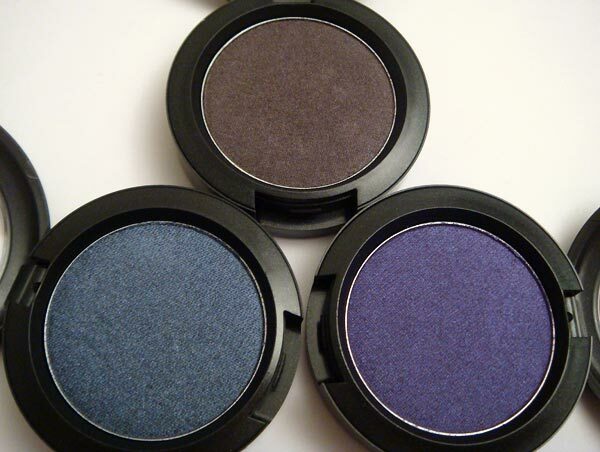 • Noir Plum is a bright violet identical to Violet Pigment. • Mating Call is a frosty lavender. It is similar to Lotusland Eyeshadow from Starflash collection and lighter than Stars ‘N Rockets eyshadow. • Top Of The Posh is a frosty light pink with just a tinge of gold. • Spectacle of Yourself is deep bronze warmer than Center Stage. Coco Beach Pigment and Twinks Eyeshadow are both to similar to it. • Center Stage is a rich chocolate brown just like Mulch Eyeshadow. • Unflappable is a dark plummy grayish taupe. 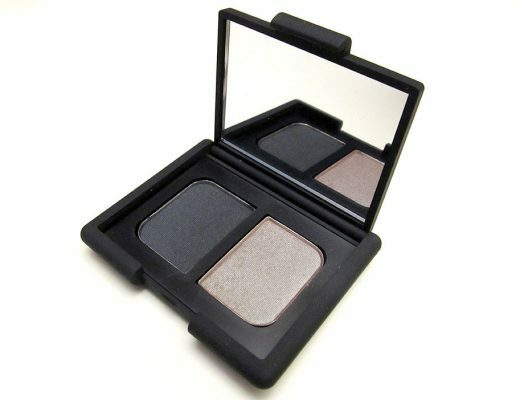 It is a warmer version of Satin Taupe eyeshadow and similar to Gilded Ash Brushed Metal X Eyeshadow . The shadows also wear slightly better than the Metal X and Brushed Metal X shadows. They are water-resistant and stay on a good 10 hours without creasing or fading even with no primer underneath. While all the colors are gorgeous, they are VERY similar to existing and previously released colors so I had a really tough time picking out what I want. I ended up with Unflappable, Noir Plum and Dandizette. Might go back for Dalliance and possibly Mating Call. Pretty! My favorites are Paparazz-she, Noir Plum, Dalliance, and Prance. Thanks for the swatches. The texture and colors are nice, but I only purchased Unflappable!